A great education starts early. This holds true for students of all capabilities, but especially so for those with special needs. As an aspiring special needs teacher, it will be on you to ensure you’re able to meet your student’s needs and give them a strong foundation for the rest of their academic careers. Responsibilities such as these are why tests like the Praxis II Special Education: Preschool/Early Childhood exist—to assess whether aspiring educators, just like you, are fully ready to enter the classroom professionally. If you’re facing this test in the near future, we understand any trepidation you may feel. However, Mometrix Test Preparation is here to help you. We have designed our Praxis II Special Education: Preschool/Early Childhood #5691 practice test to be an effective and reliable study resource, all at absolutely no cost to you. 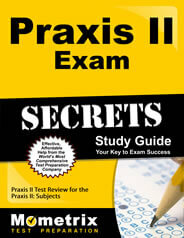 The Praxis II special education: preschool/early childhood practice questions on this mock exam all adhere to these topics. 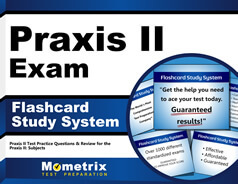 For best results as you study, we recommend using this Praxis II special education: preschool/early childhood practice test in conjunction with our companion study guide.